Our family travels quite a bit. Both just overnight trips to friends or Grandma’s house, but also international trips. I realized that y husband and I have travel kits, but the kids have nothing. Usually I throw their brushes and toothpaste in a baggie. Well, not anymore! Now they have this kids toothbrush travel holder to bring with them. 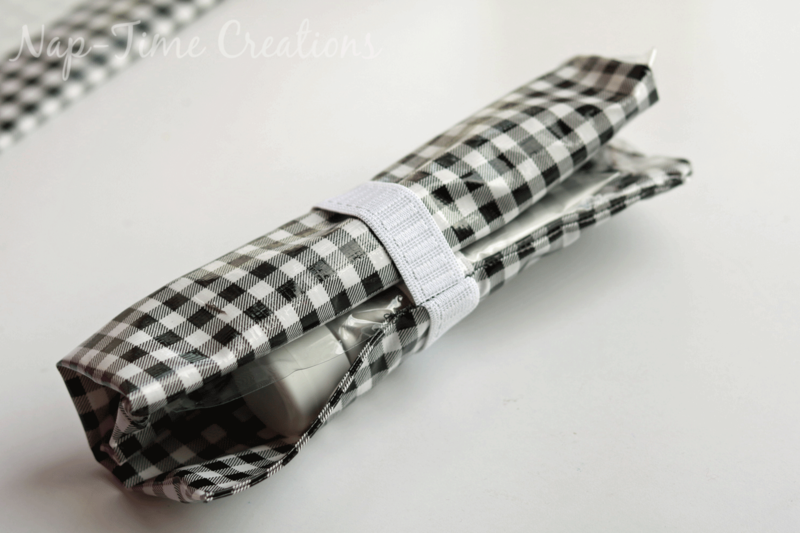 You can easily customize this travel holder to the number of kids you have. 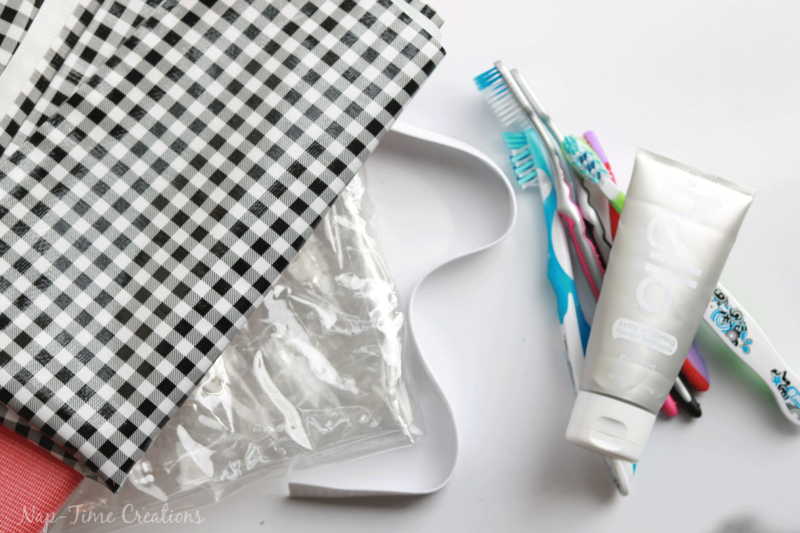 I’m also sharing a bit about our new favorite toothpaste hello! My kids are so excited about hello kids fluoride toothpaste. 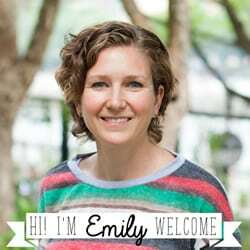 As the daughter of a dentist and the mom of three kids I know how important it is to be careful what my kids put in their body. Kids hello is made with natural ingredients and comes in two great “kid” flavors – Blue Raspberry and Bubble Gum. 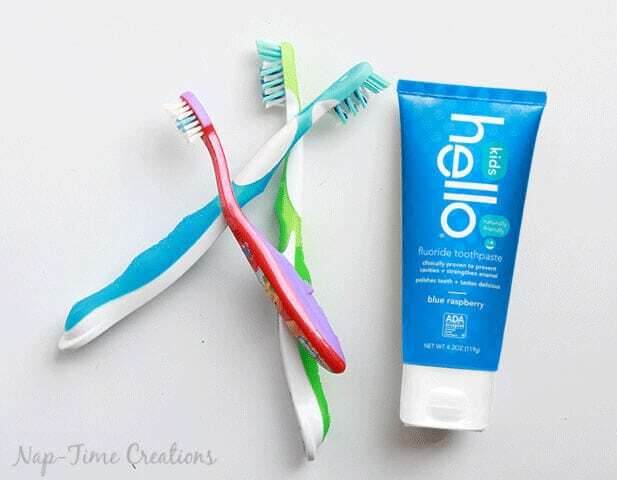 Hello also makes totally amazing toothpaste for adults too, so your whole family can have a healthier toothpaste options. Like I said above for some reason we don’t have a holder for the kids brushes and in fact, we’ve forgotten them more than once when we’ve gone away. The kids and I are super excited about our new kids travel toothbrush holder and the kids are looking forward to using it when we go to Grandma’s for Christmas. 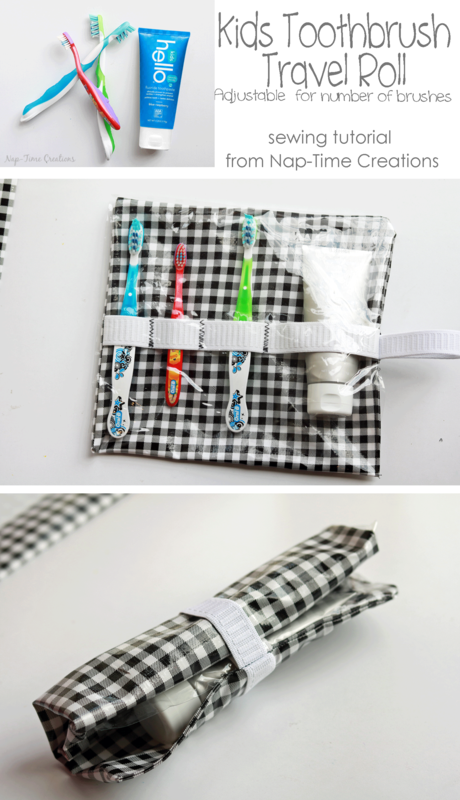 To make this Kids Travel Toothbrush Holder you will need clear vinyl, laminated fabric and elastic. You also need to know how many tooth brushes you want it to fit. 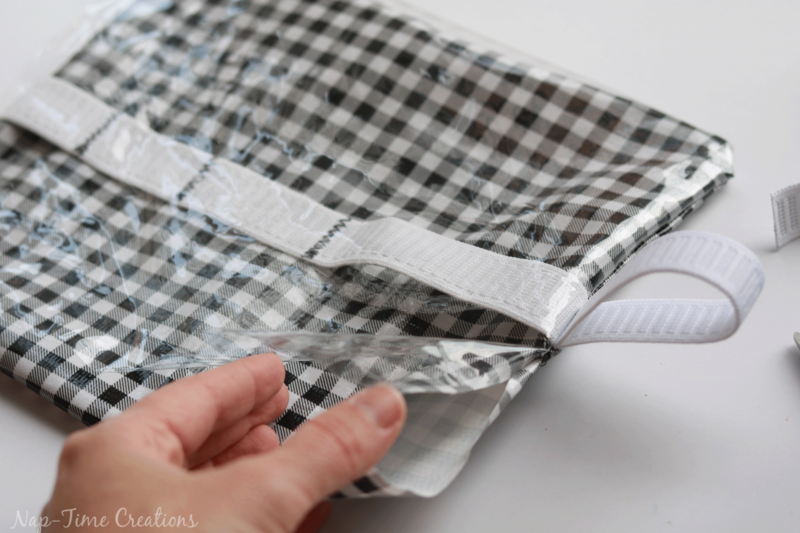 The clear vinyl is to cover the brushes so you can pack even when wet and avoid any mess. 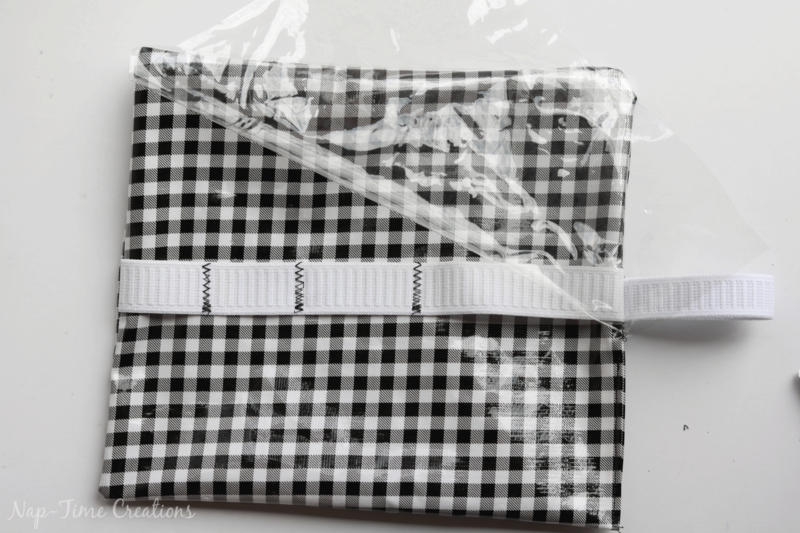 Fold the rectangle in half with the short ends together. 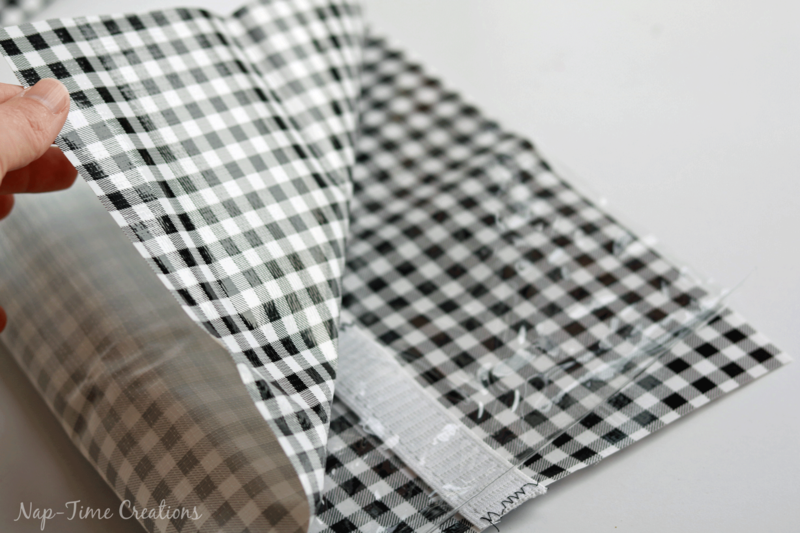 With the folded edge down, lay elastic across the middle of the side facing you. 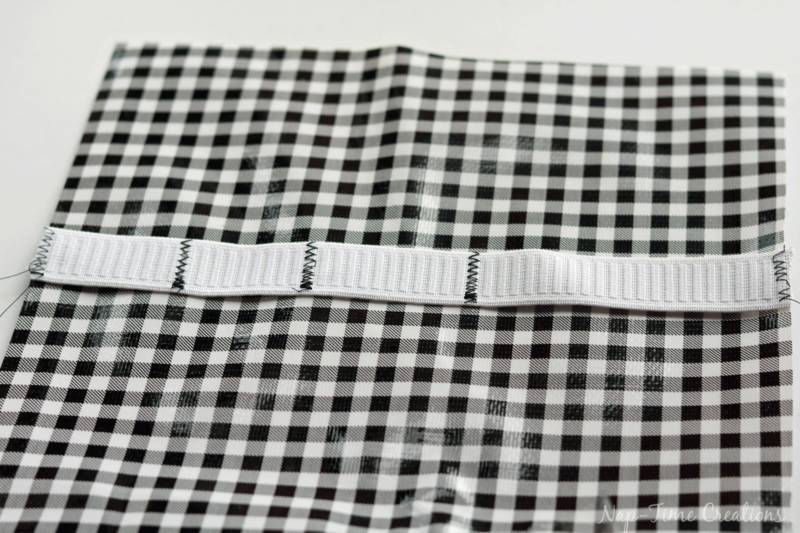 The elastic will be the same width as your fabric. 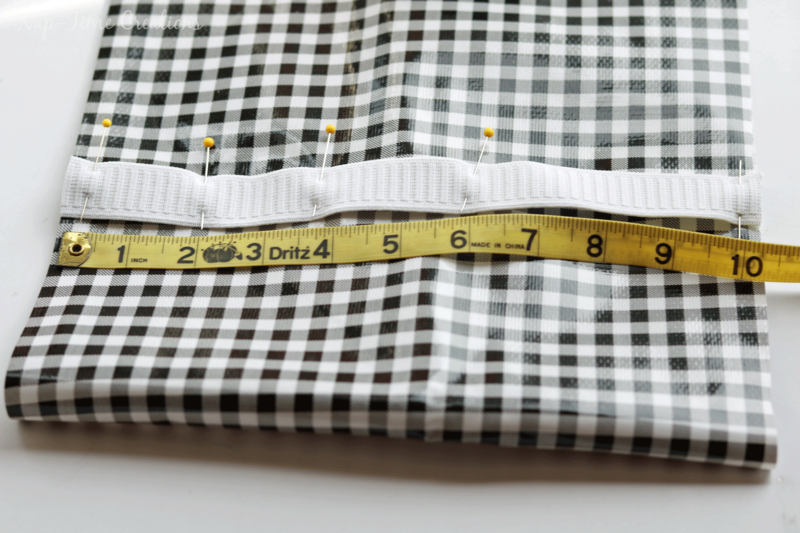 Pin it at each 2″ mark, and also sew at both sides. 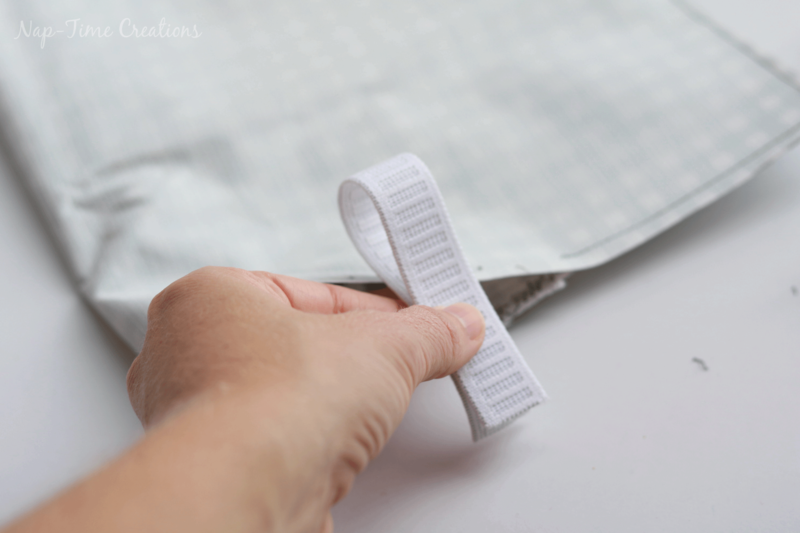 Slide the elastic into the case with the cut ends out and the loop inside. 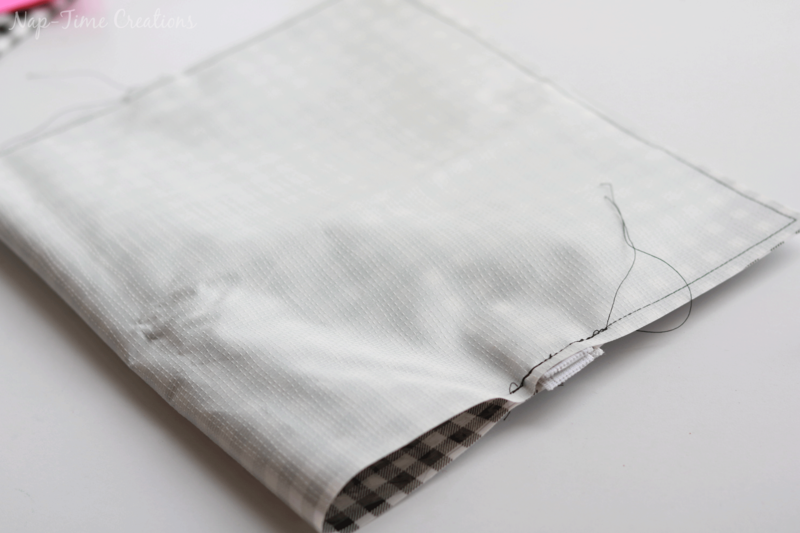 Sew back and forth to secure. Pull the case through the opening and turn right side out. 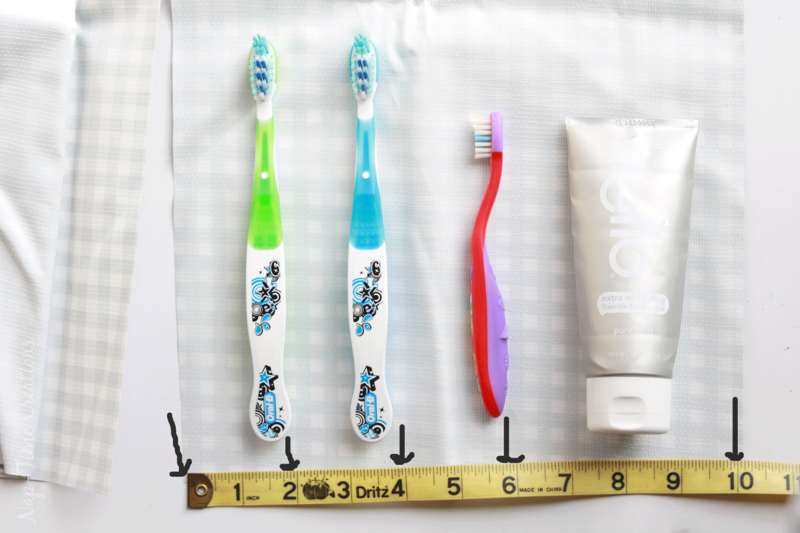 Load up with your toothbrushes and toothpaste and away you go! On to your next adventure where ever life takes you! 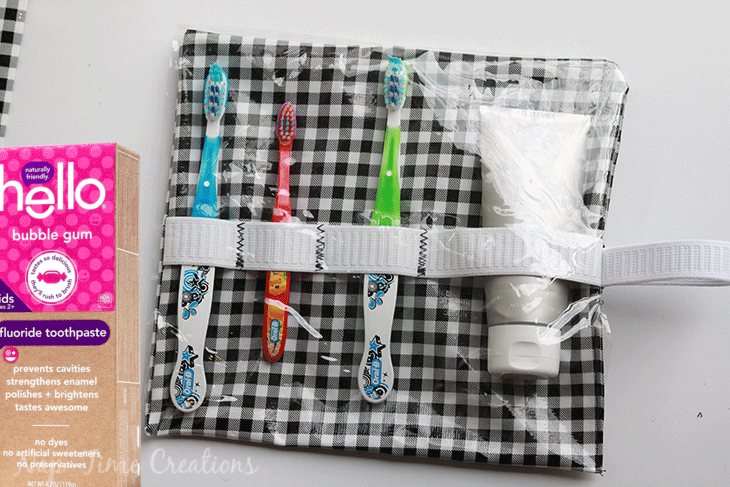 You can roll up the kids travel toothbrush holder for easy packing and the vinyl layer prevents the brushes for touching each other. Great idea and they can be customized for each kid. Love that! Thanks for sharing this at the DI & DI Link Party, we loved seeing it. Merry Christmas! What a great idea! 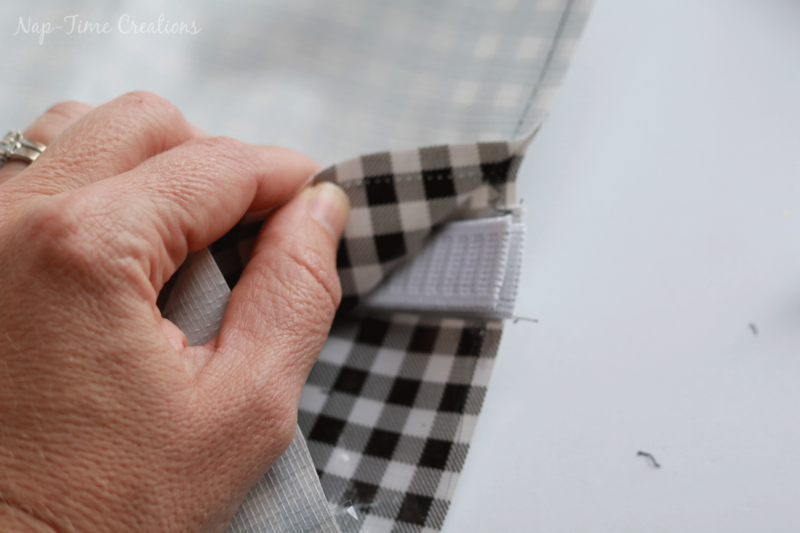 You make sewing it look so easy too! Thank you for sharing at Merry Monday! I like how it is easy to wipe clean. Such a fun idea!